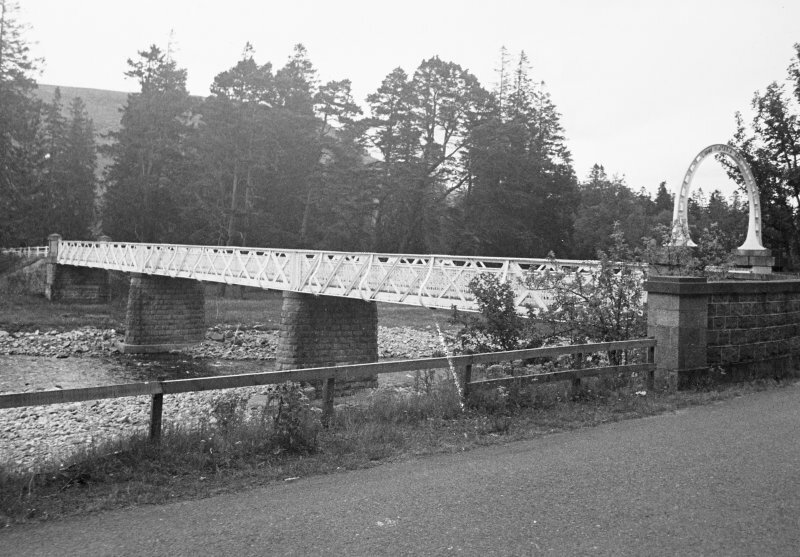 General view of Victoria Bridge, Glen Clunie. For nearby 'gallows tree', see NO18NW 21. 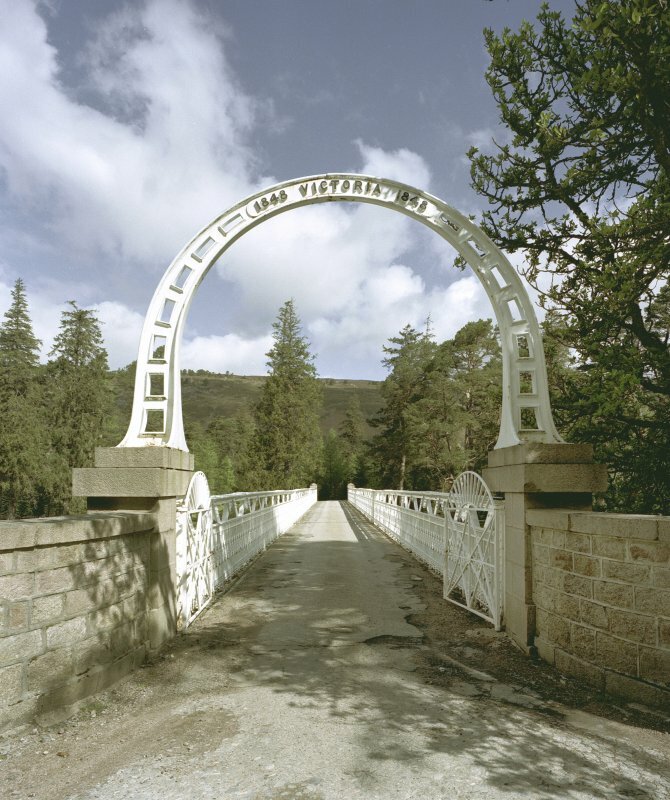 This bridge dates from 1905. 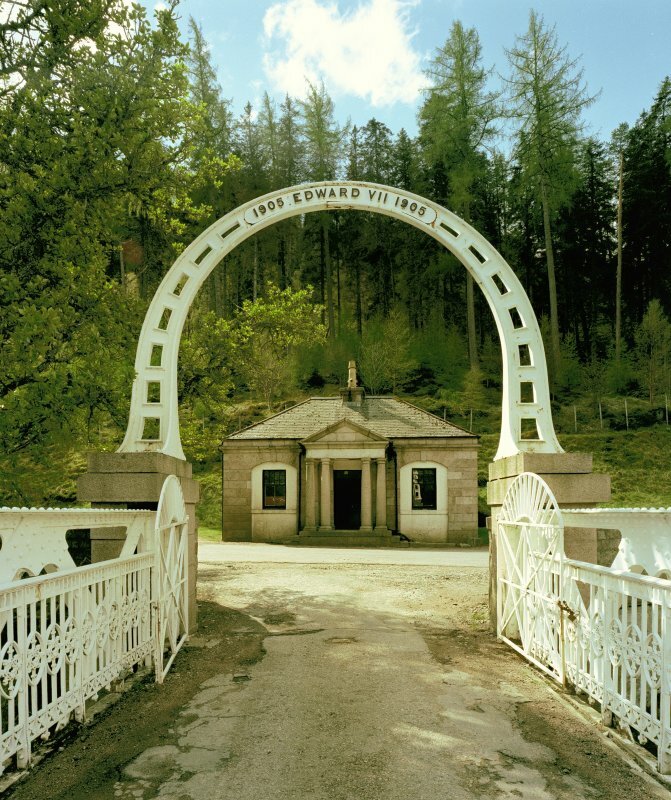 However, the cast-iron hand rail originates from the 1848 structure. 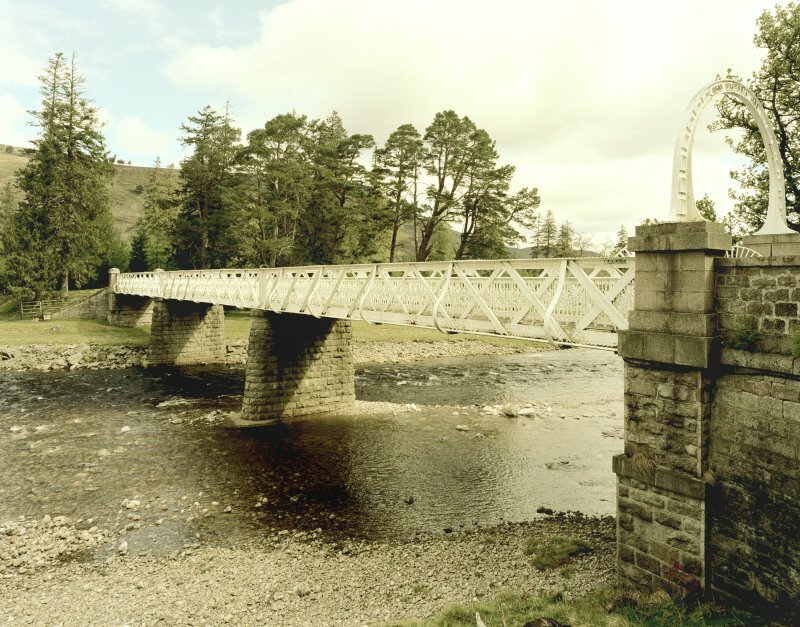 This bridge carries the approach to Mar Lodge (NO08NE 12.00) over the River Dee to the N of the South Lodge (NO18NW 15). Information from RCAHMS (RJCM), 9 July 2010.